Books Update: Hither Comes Howard – In Hardcover! *Science Fiction, Fantasy & Horror: Tying in with our celebration of Conan, we’ve added three hardcover editions of works by his creator Robert E Howard, all with notable illustrators. 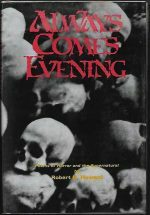 Always Comes Evening (£35) is an exhaustive collection of poems (lovingly compiled by Glenn Lord), even including a poem which won Howard a school competition when he was 15 years old, with illustrations by Keiko Nelson. The Swords of Shahrazar (£20), featuring cover and internal art by Michael Kaluta, is a swash-buckling adventure with Kirby O’Donnell seeking treasure in the forbidden city of Shahrazar. 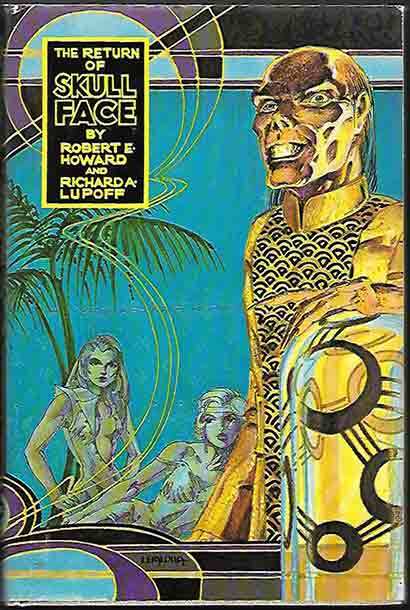 Finally, The Return Of Skull-Face (£25) (with Richard A Lupoff), has The Master (AKA The Scorpion) continuing his adventures, with Stephen E Leialoha cover art and illustrations. 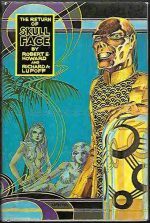 With grades in the FN range, these handsome dust-jacketed volumes, presented in removable archival film, are too good to miss, by Crom!